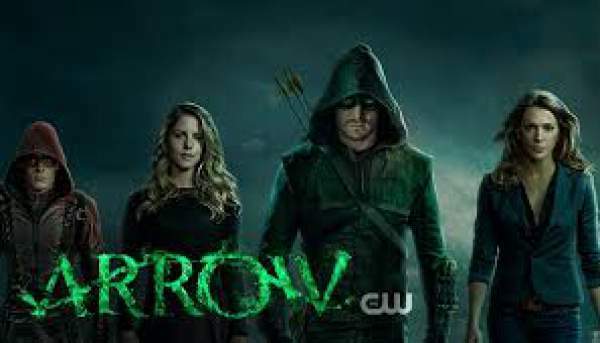 Arrow Season 5 Episode 20 Spoilers, Air Date, Promo: If you looking forward to Arrow episode 20 of season 5, it seems that you are a fan of Oliver Queen and Felicity Smoak. The next week’s segment is entitled ‘Underneath.’ And it will witness relationship issues between the current and former couple. The description for the upcoming drama says that it will be a massive relationship drama. Oliver and Felicity will get stuck together in a bunker due to some problem. And it will force them to talk to each other for a very long time. Not only the former couple, the current couple – John Diggle and Lyla’s martial status & problems will be revealed. Being stucked in a bunker, Oliver and Felicity will get to talk about their abruply ended relationship. The episode will give answers to some of the unaswered questions. In an interview, Stephen Amell who portrays the Green Arrow told that this segment will deal with the consequences of their break-up. Check: Prison Break season 5 episode 5. They never get to really talk or discuss why the relationship ended. Stephen said that Felicity appeared to be reached to her breaking point and walked out of the door. The Arrow S5E20 promo video will be updated soon. Check: The Flash Season 3 Episode20. In an interview, the Executive Producer Wendy Mericle revealed that the final showdown will feature major charactres likes of Black Siren, Nyssa al Ghul, Slade Wilson, and others. The final fight will be between Arrow and Prometheus on May 24, probably the season’s finale. Not everyone will stay alive. It means that there will be heavy casualties in the end. Arrow season 5 episode 20 will air on May 3, 2017, at 8 pm ET on the CW. Stay tuned to TheReporterTimes.com for latest Arrow spoilers and tv series updates around the world. Don’t forget to share it on social media sites to share it with other fans over the internet. Next articlePrison Break Season 5 Episode 6 Spoilers, Air Date, Promo for ‘Phaecia’ Out!